So What is going on with Souedie Crude, or as it is often called, Syrian Heavy Crude? Syria says it will cut exports by 37%. 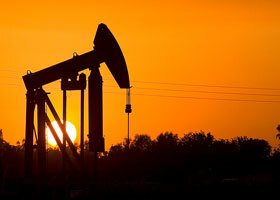 Western Powers are on the verge of announcing that they will boycott Syria’s Souedie Crude. This is a heavy grade crude that can only be refined in Italy, Holland, Spain and France. Other countries cannot pick it up because they do not have refineries that can deal with such heavy crude. Thus neither China, Iran or Russia can refine it so it is easy for the West to punish Syria in this way. No need for a unanimous Security Council Vote or EU vote. Ausama Monajed and a few other opposition activists in the West have been lobbying for this boycott as the easiest way to hurt the regime for some time. They argue that the money goes straight to the Prime Minister’s office and thus funds repression. Of course the counter argument is that all Syrian money goes to the government and is fungible. The less money the government has the less money will get to the people. Yesterday, Syria announced that it will cut daily exports of Souedie crude oil by 37%. Many people have asked why. More than half the output of Syrian Heavy Crude is processed in Syrian refineries, which can refine around 240,000 bpd, while some 150,000 bpd or around 6 tankers a month of mostly sour Souedie is exported mainly to Italy, the Netherlands, France and Spain. This accounts for why Syria is reducing its exports. But Iraq has just announced that it will supply Syria with extra oil to help it through this time of economic crises brought on by the political difficulties… The exact amount Iraq oil was not announced, but sources said it would be a “large” amount of oil. Why is Iraq doing this? One would presume that Iran will make it up to Iraq in some way. But more importantly, it proves that Iraq and Prime Minister Maliki are operating within the Northern Alliance of Iran, Iraq, Syria and Hizbullah, which has traditionally been opposed to Saudi Arabia, Israel, and the US. Where will Turkey fit into this? Only a few months ago, Turkey had positioned itself as the leader of the Northern Alliance. Today it looks like it has flipped and could decide that its future belongs back with Saudi Arabia, Israel and the Western Powers. Turkey has some hard strategic head scratching to do. Syria is proving that it still has some important allies and more resources than most people gave it credit for. This is going to be a long and drawn out struggle. If the West decides that by impoverishing the Syrian people if can turn them against the Syrian government, as it has tried to do in Iraq, Iran, Libya and Sudan, the battle will become ever meaner and surely Syrians will become poorer and less well fed. Whether poverty will promote democracy in the long run remains to be seen. Most political scientist would tell you that democracy needs a fatter middle class rather than a leaner one for best outcomes. There are several things I don’t understand about this post, Josh. 1) I’m surprised as a political scientist you state there is a counter argument that all funds go the Syrian government and are therefore fungible. That doesn’t even happen in Norway, while Resource Curse literature is full of examples of how oil props up dictatorship precisely because it is much more fungible than revenues base on a tax base, say, which pass up through regular government ministries, are harder to spend with a lot more scrutiny attached. It’s simply not accurate, and the argument that this 25% is much more important to the maintenance of the government’s patronage networks than any other 25% of the budget stands. 2) The Arabic quotation does not support your paraphrase. Sources didn’t announce Iraq would supply oil. Unnamed sources said that Iraq “intends to declare” that they will supply. It’s a small but important difference. “We will announce” is different to “We announce” – it means that even according to the unnamed and totally unidentified sources, we should believe it when we see it, and the edifice of analysis of what this means about Iraqi foreign policy and Turkey and so on… does not have a strong foundation. 3) It’s not clear that the changed shipping schedule is a Syrian reaction to some putative EU boycott. What would be the rationale behind it? It could be explainable by the idea that buyers are already deterred by what they see as impending sanctions, but it’s hard to see what the Syrian government would gain by proactively cutting exports. 4) If Syria exports less, it retains more oil in-country. Its issue then is with loss of foreign currency earnings. How does more oil coming into Syria from Iraq then help solve that issue? Is the suggestion that Syria then gets to re-sell the Iraqi oil and keep the money? 5) When you use phrases like “Decides to impoverish” you’re clearly comfortable attibuting motivation beyond established fact. Are you prepared to do the same then, with the regime and say that Bashar al-Assad “decided to kill” large numbers of peaceful protesters? I think you ought to, for balance. J.L. responds: As for using the word s”impoverish Syrians” to describe the likely result of placing sanctions on Syria’s oil exports, I am not sure why this is objectionable. The object of sanctions is to try to turn the people against their government as a way of getting the government to stop the objectionable behavior. The US has sanctioned Iran, Sudan, Libya, Iraq, and Syria to get them to change their behavior. This leads to a drop in GDP. West wants me to then say that President Assad is killing demonstrators to get them to stop. Yes, Assad is killing demonstrators to get them to stop. The UN determined that sanctions on Iraq in the 1990s killed over 300,000 Iraqis. When Prime Minister Sharon of Israel imposed a blockade on Gaza, his political advisor explained that the Israeli government intended to put the Palestinians on a diet but not to starve them. It would be nice to think that cutting Syria’s oil revenue would only stop the regime’s ability to repress the uprising, as those pushing the boycott state, but this seems naive to me. The regime will not stop defending itself or send the army home if oil revenue shrinks. It will first stop subsidies and raise prices, which will hurt the poor and the most vulnerable. This is what happened in Iraq. This is what is happening in Iran. This is what happened in Sudan, and this is what has happened in Syria over the last two decades of US sanctions on Syria. None of these regimes have changed their behavior or ceased to engage in the behavior that the initiators of the sanctions objected to. What does happen is that the most vulnerable get poorer. Sytrol, Syria’s state-run oil company, will cut daily exports of Souedie crude for loading in July from its Mediterranean port Tartous by 37 percent, according to a shipping schedule seen by Bloomberg News. The July program for Souedie, also known as Syrian Heavy, comprises four 80,000-metric-ton cargoes and two shipments of 35,000 tons. That’s equivalent to 2.7 million barrels, or 87,058 barrels a day, compared with 137,247 barrels a day in June. The company will also ship one 80,000-ton consignment of Syrian Light in July from Banias terminal in the Mediterranean, one less than June. July’s volume amounts to 601,600 barrels, or 19,406 barrels a day. Souedie has a density of 24.1 degrees on the American Petroleum Institute scale and a sulfur content of 3.9 percent, while Syrian Light has 37.7 degrees of API density and is 0.74 percent sulfur, according to Energy Intelligence Group. The conversion factor from a ton to a barrel is 6.92 for Souedie, and 7.52 for Syrian Light. (Reuters) – High world oil futures prices could rise yet further if the European Union puts sanctions on Syrian oil this week, although the country exports modest amounts and the quality is low, analysts and traders said. “The physical market impact is very small. But the current futures market is bullish so even if 50,000 barrels per day (bpd) go out, prices will go ballistic,” an oil trader with a major bank said Thursday. The European Union will discuss in Brussels Friday possible sanctions against Syria’s leadership over its crackdown on protesters, EU diplomats have said…. Syria’s two key production streams are the sour and heavy Souedie crude, which yields lower quality products, and the sweet and lighter Syrian Light grade. More than half the output is processed at domestic refineries, which can refine around 240,000 bpd, while some 150,000 bpd or around 6 tankers a month of mostly sour Souedie is exported mainly to Italy, the Netherlands, France and Spain. An Italian refiner said interest in the Souedie grade was low as the official selling price of minus $10.6 per barrel to the benchmark dated Brent was still too high, given the poor returns to be gained at present from refining heavy oil. “This is a minor problem for the market since you don’t have the physical tightness even despite Libya. But the very bullish futures market has long been ignoring fundamentals,” said a trader at a trading firm in the Mediterranean. The trader said Syrian exports would halt very quickly if sanctions were imposed on the country as international banks would quickly stop accepting payments, as they did with Libya. “Although the impact on the physical market will be limited, some similar grades might benefit — primarily (Russia’s) Urals, (Iraq’s) Kirkuk and Iranian Heavy,” he said. Iraqi sources have announced that they will be supply Syria with a large amount of oil to help it through this time of economic crises brought on by the political difficulties… The amount was not announced, but the source said it would be a “large” amount of oil. العربية نت: ذكرت مصادر مطلعة أن الحكومة العراقية تعتزم الاعلان اليوم الاربعاء عن تزويد سوريا بكميات من النفط، لمساعدة دمشق في الأزمة الاقتصادية الراهنة التي تمر بها، نتيجة استمرار الاضطرابات السياسية، فيما لم تفصح المصادر عن كمية النفط المصدرة، الا انها قالت”إنها كميات كبيرة”. ومنح الصادرات السورية التسهيلات المطلوبة. كما بحث الجانبان في وقت سابق سبل نقل المنتجات النفطية العراقية إلى المتوسط عبر سورية عبر ضخ النفط من حقل “عكاس”. وتشير المصادر إلى أن الاستراتيجية الموقعة سابقا مع سوريا تضمنت مد شبكة أنابيب جديدة عبر الأراضي السورية بدلا من الأنابيب القديمة. وكان مسؤول نفطي عراقي قال في وقت سابق إن “الاتفاقية تضمنت الاتفاق على مد 3 أنابيب بدلا من شبكة تصدير النفط القديمة”. يشار إلى أن تصدير النفط عبر الأنبوب العراقي السوري توقف عن العمل منتصف التسعينات من القرن الماضي، وهو الأنبوب الذي يمتد من مصفاة بيجي غرب العراق إلى ميناء بانياس السوري على البحر المتوسط. Regarding the Internet cut offs, at first I was highly suspicious of the way Homs seemed to have more than its fair share of outages. But today Syria Teleco announced that subscribers would be reimbursed 50% for the fees of May and June due to the outages. I almost died of shock at this unheard of generosity. Also, ever since the lines came back, their stability and speed have never been better. My ADSL line used to drop about 6 times a day. Now, I pity my European friends with their feeble 99% uptime. A growing number of Syrian soldiers are deserting the army to avoid taking part in the military crackdown against protesters demanding the overthrow of President Bashar al-Assad. A man who said he was a Syrian journalist read out the group’s statement near the Turkish border. It listed the group’s aims, including electing a transitional council, and appointed a Lieutenant Colonel Hussein Harmoush, whose defection has been documented on video, as its official spokesman. The journalist said the group consisted of 16 officers in refugee camps in Turkey and some 35 still in Syria. While the capabilities of the group remain unclear, such defections signal a potentially violent new element in the three-month-old unrest that has posed the gravest challenge to Assad’s tight control over Syria. Military defections again? Really? How many times has it turned out that the people aren’t even part of the military and were kidnapped by terrorists and forced to create fake confessions. Are they quadruple counting “repeat offenders” like we saw last time? Oh well! Even if its true (which it isn’t) that’s 50 down, 499950 to go lol. Let’s get another thing straight. Hurting the economy doesn’t “hurt the regime” as these traitors claim, but hurts the Syrian people. These scum know that we will not fall for their coloured revolution, which is why they wish to punish us collectively rather than give up and vanish into obscurity. Actually those traitors like the f***d wannabeBrit mounajed are the ones that making Syrians like myself to stand even closer than before with the government (I’ll stop using the word regime), this government proved to be more responsible and care for us more than any body else. Traitors, scums and Syrian garbage like mounajed and his other two friends are the one responsible of turning syrians to beggers and they are responsible for every Syrian will loose from now on. I want to see them brought back in shackles to Syria and face a Syrian court and even hanged for treason in almatjeh, they deserve nothing less than that. Do you know how to send money to Syrian banks from the States or Canada? EU, UN, US, Israel, and NATO & NATO’s death squads, Al Qaeda continue their Democracy & Reform Campaign. Nato has turned to Germany to replenish it arsenal of bombs and missiles in a bid to keep the coalition together for the campaign against Col Muammar Gaddafi’s regime. With the number of “smart” bombs dropped on Libya estimated at more than 2,000 some Nato allies have seen their stocks dramatically depleted. The move is politically sensitive as Berlin opposed the fighting having abstained from UN Resolution 1973 authorising force to be used to protect Libyan citizens from Col Gaddafi’s forces. Guido Westerwelle, the country’s foreign minister, has criticised the mission. But Nato sources said the move showed that the Germans were now “keen to make the point that they are part of the team”. However it was unlikely that the weapons would be a “freebie” and the Berlin government would probably charge their allies. Despite having only six F16 jets each Denmark has managed to drop more than 500 bombs and Norway has launched 350 during the 100 day campaign. By comparison the RAF, which carries a more sophisticated array of smart bombs and missiles, has dropped 480 precision munitions with a force of six Typhoons and 12 Tornado GR4s. as far as I know there is no problem of sending money from Canada directly to Syrian banks, from America I don’t really know how but its still possible to send using western union to individuals . ‘ and appointed a Lieutenant Colonel Hussein Harmoush, whose defection has been documented on video, as its official spokesman’!!! dose Reuters read BBC???? Colonel Harmoush admitted lying about his defection time and circumstances …. His defection, he said, had actually taken place four days after the killings in Jisr al-Shughour, on 9 June. Furthermore, he said he had defected on his own, and only joined up with a number of other defectors in the town later. “I was not there at that time. I arrived there on 9 June, and when I arrived, there was absolutely no Syrian army there. Furthermore, he said, none of the other defectors he joined had been present at the time of the alleged massacre. here is the link AGAIN !! Thanks for that, we need to pick off these small facts and present them in such a way that they are not embedded in BBC’s flawed analysis which is sandwiched with lies upon lies. The “revolution” scum’s perspective should not even be given, they are compulsive liars. That reminds me of a tragic-comic news story I read a few weeks ago. The story is 98% off-topic. “Judicial activism” refers to law judges making decisions under the guidance of political and public policy considerations without first taking guidance from established law. Sending posts or elder larney money orders from Canada to Syrian banks have never been a problem.Must be a major bank however.